Ever Heard of the “Silent Bowl”? Was reading an article over at the newly-designed ESPN site this afternoon about the NBA playoffs in which there was a reference to LeBron James’s practice of watching recorded games with the sound down. In the article his teammate Kyrie Irving noted how he’s picked up the habit, too. I love watching basketball, and indeed sometimes will have games on with the sound down as it is eminently easy to follow nearly everything without the commentators. More often than not I’ll keep the sound up, but it’s not a problem at all knowing where things stand at any moment after hitting that mute button. The story reminded me of an NFL game from way back in 1980 aired on NBC, a late-season contest between the New York Jets and Miami Dolphins that came to be known as the “Silent Bowl.” In an effort to boost ratings for a meaningless regular season game between a couple of mediocre teams, Don Ohlmeyer (then the executive producer of the network’s sports division) came up with the experiment. A quick search about that game took me to a feature about it from a few years back on the ESPN site. 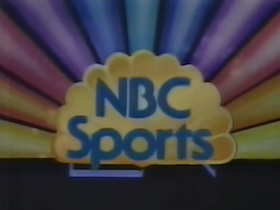 There a few more details about the broadcast are shared, including how NBC used more graphics than usual while also having the stadium’s public address announcer make more descriptive comments to help viewers track the action. They didn’t have the score on screen at all times, though, nor an inset showing the clock. In fact, those didn’t become regular features for televised football until 1994 (later than I would have guessed). Ratings were higher for the game than would have been expected without the gimmick, and apparently response to the broadcast was more favorable than not, although no one ever thought for a moment that announcerless games would ever become the norm. From the perspective of three decades later, Ohlmeyer sounds like he kinda sorta regrets being remembered for the stunt, but I think it was an interesting idea to have tried. 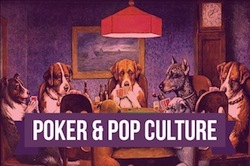 While not perfectly analogous, televised poker seems as though it cannot do without commentators (even though some live streams -- including at the WSOP -- have tried to do without). That said, I spend a fair share of time watching online poker tournaments which though not necessarily nail-biting are nonetheless easy enough to follow given all of the detailed information available -- including “instant replay,” even. Now that I think about it, I turn the sound down for that and listen to music, too.